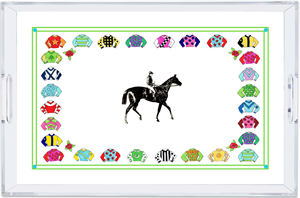 Add some pizzazz to your derby party with our 11x17 Lucite Tray with a Jockey Silks border and a horse and rider. The insert is removable for washing the tray. This is great for taking mint juleps, bourbon and branch, or Pappy Van Winkle to your guests. 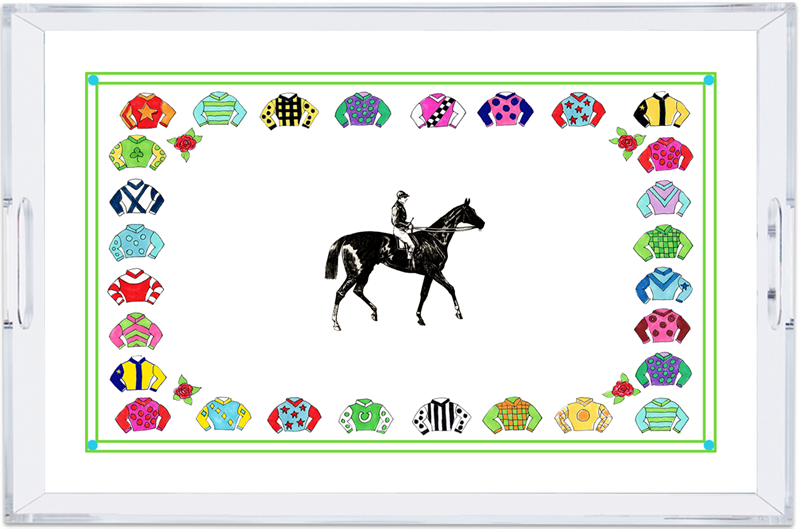 Perfect for a Kentucky Derby Party or tailgating. This tray takes a couple of weeks to arrive so order early.